On Friday, 29 April 2011, Plains Midstream Canada quietly issued a press release, informing the public of a crude oil spill from the Rainbow Pipeline east of the Peace River in northern Alberta near Little Buffalo, AB. Four days later, following the Canadian federal election, Alberta’s Energy Resources Conservation Board (ERCB) announced that 28,000 barrels of crude oil had been released from the pipeline rupture, making this the largest pipeline oil spill in Alberta in over 35 years. Commenting on Alberta’s history of oil spills, Environment Minister Rob Renner said “sure there are incidents from time to time, but I would put our record up against any other.” Just what is that record? Several newspaper reports have noted that an oil pipeline spill of this magnitude has not occurred since an estimated 41,000 barrel leak from a Bow River Pipeline Ltd. facility in 1975. Out of curiosity, I decided to look up this 1975 event in order to get a little more historical perspective on the most recent Rainbow Pipeline oil spill, but I have yet to identify one source to verify any of the details of the event in 1975 (please post any links in the comments). A Google Newspaper Archives search, however, turned up a more interesting history of oil pipeline spills in Alberta. As it turns out, Alberta has a very long and troubled history of oil pipeline ruptures. 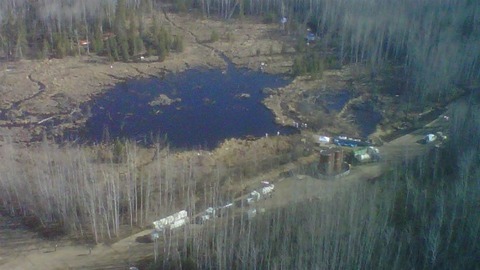 The 29 April 2011 oil spill near Little Buffalo was not an anomaly. Since the expansion of the oil and gas industries in Alberta following the 1947 discovery of conventional crude oil resources at Leduc, the province’s pipeline infrastructure has grown to more than 370,000 kilometres. With such an extensive pipeline system, failures have, since at least the 1970s, been a regular occurrence. In June 1970, the Leader-Post of Regina reported on the progress of clean-up efforts following a massive Great Canadian Oil Sands Ltd. pipeline break in northern Alberta that resulted in an estimated 50,000 gallon spill of synthetic crude into the Athabasca River. The pipeline carried synthetic crude from Fort McMurray to Edmonton. As the spill drained eastward into Lake Athabasca, large slicks were visible on the lake surface. Great Canadian Oil Sands Ltd. (later known as Suncor) was one of the first major bitumen developers in Alberta’s northern tar sands. Within less than three years of opening its first tar sands facilities, the company was responsible for this substantial pipeline spill on the Athabasca River. One observer from an Edmonton conservation consulting service said that the Alberta government was “caught unprepared” when this pipeline fractured. By October, most of the clean-up operations were complete and the Montreal Gazette reported that the Alberta government levied a $6,338.00 fine against Great Canadian Oil Sands Ltd. to cover some of the clean-up and recovery costs. Pipeline oil spills persisted in the fall of 1970 along the Freeman River area, northwest of Edmonton. By September, two separate pipeline ruptures resulted in a spill of about 41,600 gallons of crude oil into the Freeman River and Freeman Lake. Within less than one year, in January 1971, Imperial Oil suffered a pipeline spill of about 28,000 barrels (1.18 million gallons) twenty miles west of Edmonton. In its effort to clean-up the spill, the company was forced to burn off about four acres of oil-covered land. Two years later in 1973, a Gulf Alberta pipeline burst near Camrose, spilling roughly 7,000 barrels of crude oil (294,000 gallons). Alberta’s pipelines, of course, carry oil beyond the boundaries of the province into the United States. As Canadians discovered during the Enbridge pipeline break in Michigan last July, Alberta’s oil spill history has an impact outside the borders on this country. The 1973 Washington state pipeline failure was a precursor to the 2010 Michigan spill. An area north of Bellingham was inundated with more than 300,000 gallons of Alberta oil, said to be the largest oil spill in Washington’s history. Alberta’s oil pipeline troubles continued through the mid-1970s with several more incidents resulting in millions of gallons of spilled crude oil throughout the province and region. By January 1975, the provincial Environment Minister, Bill Yurko called for the completion of an Interprovincial Pipeline Company report on numerous breaches along the main oil pipeline between Alberta and Ontario. According to the Leader-Post, this pipeline failed on multiple occasions between 1973 and 1975, resulting in total spills of about 5 million gallons of crude on both Alberta and Minnesota soil. In spite of greater official attention to the problem by the mid-1970s, pipeline ruptures seemed to be a fixture of the industry. In June 1975, the Leader-Post once again reported a 1,000-3,500 barrel spill in the Swan River, northwest of Edmonton. The next year, in March 1976, the Calgary Herald covered the impact of a 19,000 barrel (798,000 gallons) oil spill from yet another Interprovincial Pipeline Company fracture in Killam, Alberta. Taylor, British Columbia (near the northern BC-Alberta border) suffered a 175,000 gallon oil spill along the Westcoast Petroleum Pipeline Company system in May 1977. 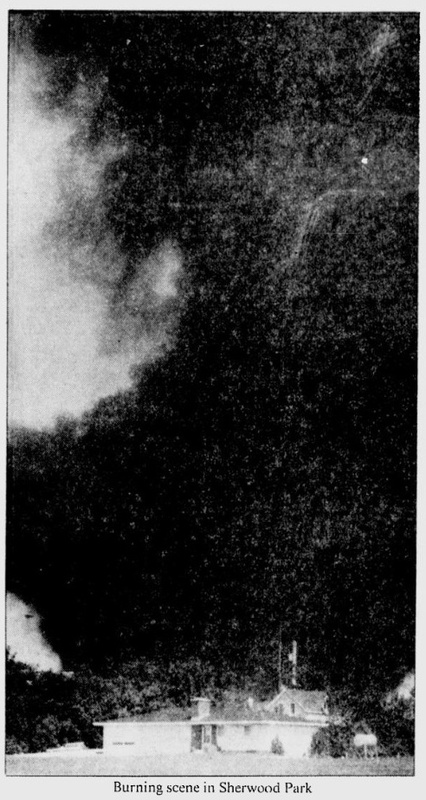 Finally, the skies of Sherwood Park, just outside of Edmonton, were blackened by burning oil in July 1979 following a 10,000 barrel oil spill (420,000 gallons), according to the Edmonton Journal. 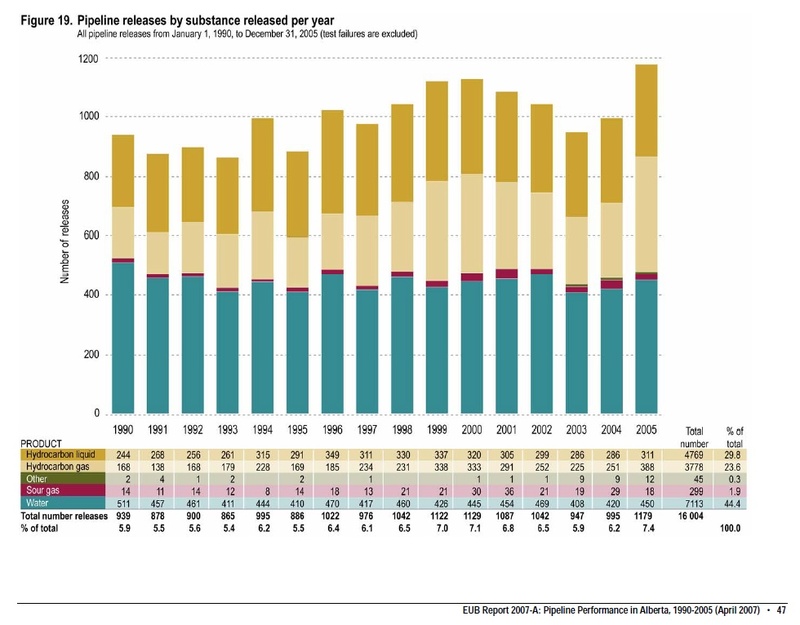 A 2007 Alberta Energy Utilities Board report on pipeline performance found that between 1990 and 2005, the province’s pipeline system suffered 4,769 pipeline releases of hydrocarbon liquids (most of which were crude oil or synthetic crude). Of those releases, 4,717 were less than 100 cubic metres (1 cubic metre = 1,000 litres), 46 were between 100 and 1,000 cubic metres, and 6 were between 1,000 and 10,000 cubic metres. And in 2006, corrosion of the Rainbow Pipeline caused a rupture and oil spill of 1,260 cubic metres of crude oil twenty kilometres southeast of Slave Lake, the same pipeline that burst last week. Historical evidence reveals that the problem of oil pipeline ruptures and spills is endemic to the industry in Alberta. The recent oil spill at Little Buffalo is just the latest in a series of spills throughout Alberta’s oil pipeline system. As the province pushes forward with tar sands development and aims to export its oil products to China via an extensive pipeline through to Kitimat, British Columbia, Canadians should take notice of this history and its implications for the country’s future. These are excellent sources! The newspaper record, of course, is very limited and I wondered where I might find these kind of government reports. This isn’t my current area of research but there should certainly be more work on this topic. Are you doing research on this history? Has there ever been and oil spill in alberta where the oil or part of it originated in BC? Good question, Fred. I don’t know. It depends on what you mean. Do you mean crude oil that originated from BC and was spilled while being piped into Alberta? That is probably unlikely since, to my knowledge, BC does not ship crude oil to Alberta. Natural gas and distalates, on the other hand, might be a different matter.